Skin aging is a process that will eventually affect everyone. It seems that this problem affects women and men after the age of 40, but in fact, it starts much earlier – already when we are around 20 years old. Unfortunately, at this young age, we think that skin aging does not concern us and that it is too early to begin intensive skin care. Why is it so important to take care about our health and skin appearance as soon as possible? We will try to answer this question today. Approximately, in the age of 20 slow retention of cell renewal processes is taking place. Our skin becomes more susceptible to unfavorable external factors actions such as pollution and ultraviolet radiation. Gradually, the production of collagen fibers and the elasticity of our skin is reduced. 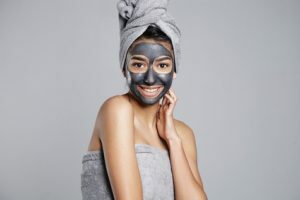 By all these activities, at the age of 30 we can see on our skin the first progressive symptoms of photo aging such as fine lines, wrinkles, discoloration, dilated capillaries. It is assumed that at the age of 20 it is the best to introduce the first elements of anti-aging therapy. Thanks to it, we will slow down the skin aging process and ensure that the skin looks unblemished for a long time. It has been scientifically proven that the main cause of our skin aging is UV radiation. UV rays represent only 5% of the sun’s rays that reach the ground but they are very strong. There are several types of radiation. UVC rays are blocked by the ozone layer, UVA and UVB radiation reaches the ground and affects the skin. The most dangerous for our skin are UVA rays. They are longer than the UVB and reach deeper layers of the skin, creating havoc. They damage the collagen fibers and elastin responsible for skin elasticity. We need to know that solariums emit 90% of the UVA rays, because they give you instant tan effect. In the area of our face, these radiations are responsible for the formation of wrinkles, discoloration and the loss of elasticity and firmness. Most girls and young men assume that anti-age treatment should only be started when small wrinkles appear on the skin surface. However, you should be aware that the purpose of anti-wrinkle treatment with the use of anti-aging cosmetics is to slow down the progression of skin aging processes. It means that with these preparations, we can prevent the formation of wrinkles, but we cannot reduce the existing ones. If we talk about wrinkles, it is important to avoid the situation where mimic wrinkles arise. Their appearance is the consequence of eyebrows moves, eye blinks and smile. ● Take care of proper SKIN MOUISTURIZING. This applies to all types of skin (not only dry). ● DRINK WATER. It helps not only to humidify the skin, but also to remove toxins from it. ● Reduce the consumption of PROCESSED FOOD that causes rapid ejection of insulin, which leads to increased production of androgens and increased secretion of sebum. This causes the formation of acne. ● Provide to yourself the appropriate amount of SLEEP. During sleep, the body regenerates the fastest, and at least 7 hours sleep per day is a mandatory dose for our appearance. ● Do face PEELING once a week. It helps in removing horny layers of epidermis. Thanks to this, the skin cleanses and refreshes faster. At the age of 20, the best will be fine grained or enzymatic peeling. Remember to apply a mask appropriate to your skin type after each peeling. ● Apply light CREAM UNDER EYES. Skin in this area is especially thin and sensitive to drying, which makes it more susceptible to wrinkles. ● Remember about precise, daily HOME CARE, that is, the thorough cleansing of the skin with a cleansing remover suitable for the skin type, then apply a tonic to restore the skin pH and apply a cream suitable for the skin type. ● Remember about SUN PROTECTION. Use UV filter creams that will protect you against skin aging and photo aging symptoms such as discoloration. ● Do not overdo MAKEUP. Do not overburden your skin, invest in mineral cosmetics. ● ACTIVE INGREDIENTS, which should be used, are hyaluronic acid, ceramides, A, C, E vitamins, coenzyme Q10, algae, vegetable oils, carotenoids, and flavonoids. It is important that face care after 20s does not only limit to daily home care. From time to time, it would be useful to treat the skin with something special. Here are some examples of treatments you can use after 20s. GeneO NeoBright®– guarantees rapid and effective oxygenation, brightening and clear rejuvenation of the skin are visible 20 minutes after the treatment. The GeneO’s secret is concluded in the content of the capsule, which is applied to the skin. This capsule contains a nutrient retinol, hyaluronic acid, azelaic acid and kojic acid, pomegranate seed oil, wild rose oil, and vitamin E. GeneO is a quick and effective solution for the skin lacking radiance, dehydrated and flabby. It causes visible and perceptible regeneration, oxygenation, improves skin density, balances color and narrows the pores while simultaneously acting anti-wrinkle. For the best results, a series of treatments is recommended. Yonelle MEDESTHETIC – these treatments are based on the concept of “SKIN PENETRATION REVOLUTION”, which is based on increased penetration of active ingredients by the synergistic use of biological and physical methods. The main advantage of Yonelle’s treatments is the use of nanodisks – the carriers that allow a deeper transport of active ingredients and liquid crystal bases. They show biocompatibility with natural skin structures. Thanks to their use, the risk of irritation and allergy is minimized. Remember, dear twenty years old people, at your age your skin is firm, smooth and beautiful, but not always it will be this way! So today, take care of your skin and prevent the formation of the first wrinkles on your face.